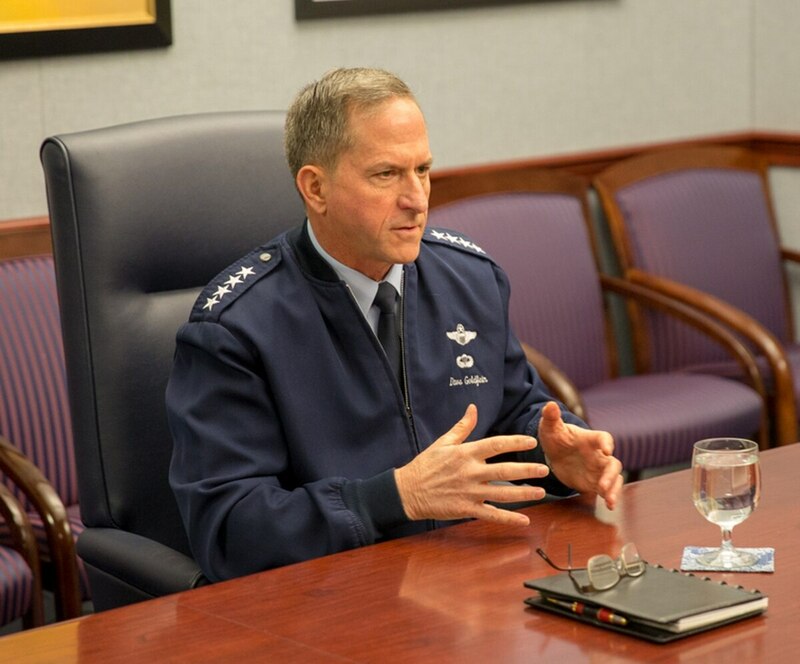 WASHINGTON — The Air Force is open to conversation with Congress about incorporating elements of the JSTARS recap in its future battlefield management family of systems, its top general said Thursday in an exclusive interview. However, the amount of JSTARS recap reuse will ultimately depend on Congress’ ability to raise the budget topline, said Air Force Chief of Staff Gen. Dave Goldfein. The Air Force, in its fiscal year 2019 budget request, canceled its replacement effort for the E-8C Joint Surveillance Target Attack Radar System known as JSTARS recap. But certain members of Congress fear the service may be too hasty in backing away from the program. Ohio Republican Rep. Mike Turner, who chairs the House Armed Services Committee’s tactical air and land subcommittee, told reporters on Tuesday that Congress would seek a “balanced” approach to replacing the legacy JSTARS aircraft. Goldfein, speaking to Defense News and Air Force Times in a joint interview, said he is eager to discuss the matter with lawmakers. However, he noted that the service believes its current plan — which involves sensor upgrades and investments that would network a number of existing platforms together — would produce greater battlefield management capability and capacity, especially in contested environments where the JSTARS cannot go. At the McAleese and Associates/Credit Suisse defense conference on Tuesday, Turner said the subcommittee’s markup “will try to find the balance of funding” between the JSTARS recap and the Air Force’s new plan, comparing it to the coexistence of Uber and traditional taxi cab companies. The defense industry is watching carefully to see if Congress could force the Air Force to reverse course on the JSTARS recap cancellation. Competitors Boeing, Northrop Grumman and Lockheed Martin remain in source selection for a $6.9 billion contract for engineering, manufacturing and development contract that may never reemerge. But Goldfein warned that if Congress forces the Air Force to pay for some of the capabilities laid out in the JSTARS recap — for instance, a downsized version of the program instead of the full 17 plane buy — the service may not be able to foot the bill for other capabilities it believes it needs more. “Each service chief operates in the capability, capacity and readiness trading space and I’ve got to always try to find the right balance,” he said. While the Air Force is still finalizing how it will accomplish the JSTARS ground surveillance and battle management mission sets, it believes part of the answer is updating its existing assets. 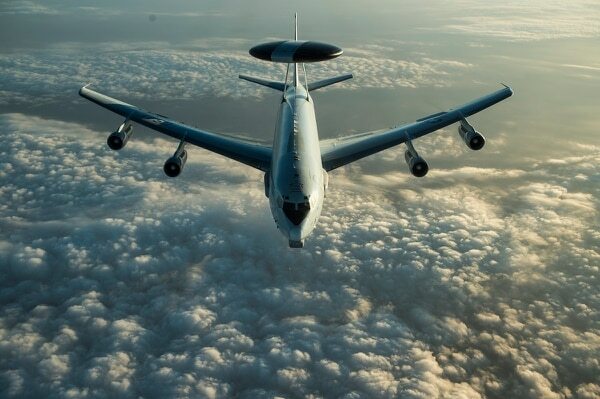 The FY19 budget includes some preliminary funding to develop a ground moving target indicator radar for the MQ-9 Reaper and to outfit its E-3 Airborne Warning and Control System aircraft with new networks, sensors and communications gear. The service plans on retiring three E-8Cs next year, but the rest of the legacy JSTARS planes will keep flying until the mid 2020s.